Already one of the best holiday destinations in Europe, Gran Canaria has its eyes set on becoming a worldwide tourist powerhouse. With this goal in mind, the island ended 2017 by adding Acuario Poema del Mar (Poem of the Sea Aquarium) to its long list of attractions. Built for guests of all ages to enjoy, it is also for a tremendous environmental cause. It seems this year might just mark Las Palmas and the entire island’s arrival in the global tourism arena. It was a lovely Sunday in the island capital, Las Palmas de Gran Canaria, as usual, but it was bound to be a bit more special. On the 17th of December last year, the long-awaited grand opening of Acuario Poema del Mar finally came. As it is from the same company that owns the award-winning Loro Parque and Siam Park, people had soaring-high expectations. 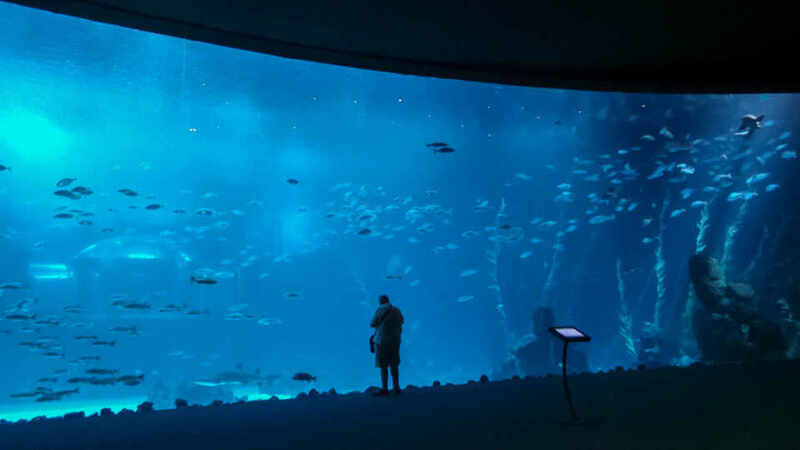 Regarded as a project of “strategic, regional interest” by the authorities of the Canary Islands, the aquarium can amp up the island and the archipelago’s bid to become a top vacation spot on a global scale. To belong in the inventory of island attractions, though, isn’t its only purpose. Also embracing sustainable tourism like its sister companies in Tenerife, it’s a land of over 12,500 m2 dedicated to conserving biodiversity and protecting nature and wildlife in the most innovative ways. At the moment, each area houses more than 350 extraordinary species. In total, it is a haven to a whopping 2,000 species of floras and marine life from different parts of the planet. Giving a noteworthy first impression is the building’s facade of multi-hued shark silhouettes. As the first to greet visitors, they sure know how to build anticipation of what awaits inside. The Acuario Poema del Mar experience introduces three different areas: surface and deep marine ecosystems, and freshwater species. The tour starts with the “Jungle,” a vast display of off-water riches and terrains from the world over. Unlike other aquariums or oceanariums, this park does not only boast marine life. 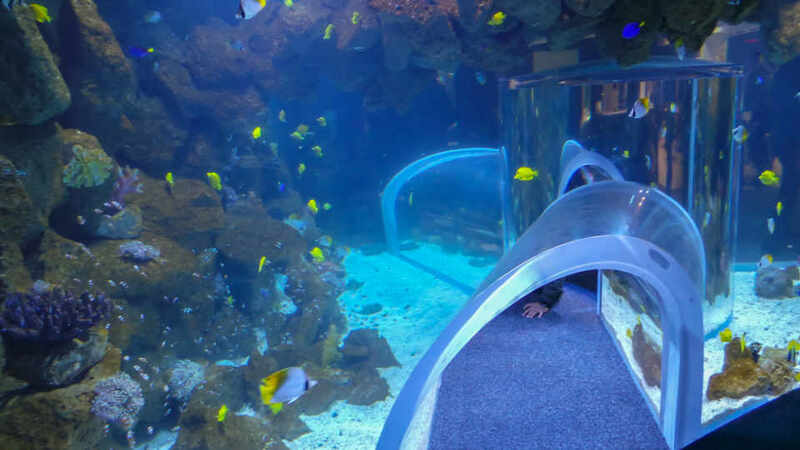 Its first section showcases biodiversity both in land and water, through lagoons and glass floor tanks, at the same time. 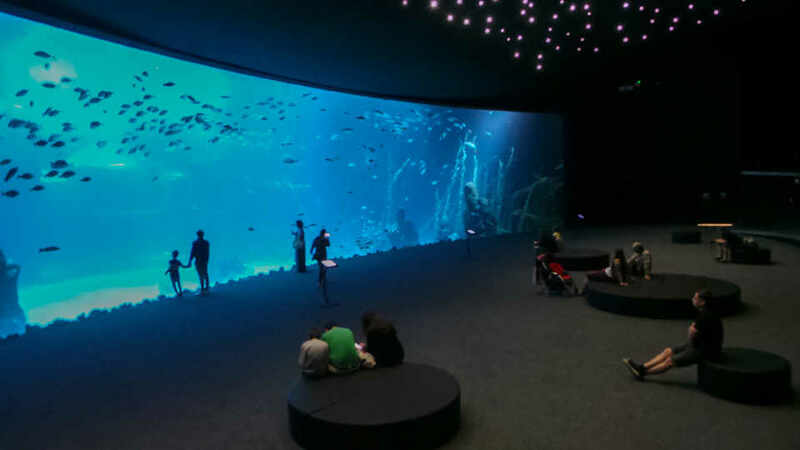 An enormous cylinder aquarium called “Reef” is the second area. The tank holds 400,000 liters of water and houses an extensive array of colorful fishes and corals. These zones are homes to ferns, mangroves, jellyfish, marine dragons, seahorses, turtles, and plenty of tropical aquatic species. “Deep Sea” is the last and most remarkable of them all. Its curved window exposition is the largest in the world at 36 meters long and 7 meters high. Its current seawater residents include angel and hammerhead sharks, manta rays, sand devils, and a vast number of pelagic species. Needless to say, this section never fails to wow the spectators. Children below the age of four can enjoy the park for free. As Aquario Poema del Mar is only 200 meters from Playa de Las Canteras and, basically, neighbors the Sanapu Dock, most visitors get to the park by foot. From Playa de Las Canteras, the quick walk will only take about 10 to 15 minutes. Vacations should always be fun, or at least try to be. If not, why bother and spend? Enjoying a holiday, though, doesn’t need to be just that. It can be with a purpose. 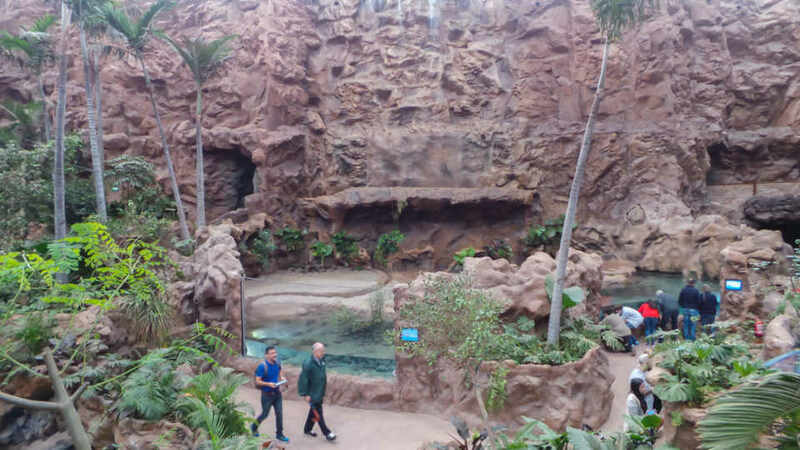 Continuing their brand of sustainable tourism, the owners and creators of Tenerife’s Loro Parque and Siam Park opened Acuario Poema del Mar in Las Palmas, Gran Canaria. Entertaining, educational, good for the planet, and open to all ages, there’s no reason miss it. Don’t resist the call of the technicolor sharks as no beach can give the same richer aquatic experience.